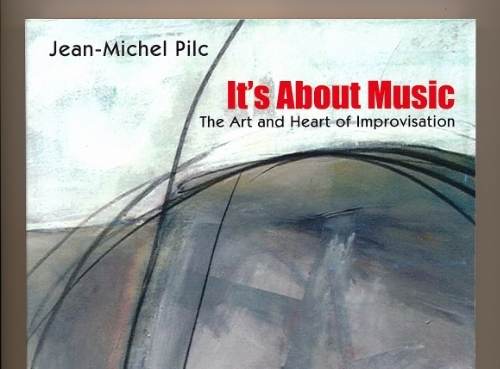 Self-taught jazz pianist and composer, Jean-Michel Pilc, writes on the expressive aspect of improvisation based on the premise that originality in art is a matter of expressing one’s own uniqueness. He draws examples emphasizing the primacy of feeling spanning from classical music to jazz, and describes simple and essential exercises based on physicality that will help students and professionals alike to tap into his or her own stream of creativity. Written in an engaging and conversational style, the reader will be drawn into the mind of one of the most unique and imaginative jazz artists living today. For the past twenty years Pilc has taught at NYU. Beginning in September 2015 he will join the faculty of McGill University in Montreal. Self-taught jazz pianist and composer, Jean-Michel Pilc, writes on the expressive aspect of improvisation based on the premise that originality in art is a matter of expressing one’s own uniqueness. He draws examples emphasizing the primacy of feeling spanning from classical music to jazz, and describes simple and essential exercises based on physicality that will help students and professionals alike to tap into his or her own stream of creativity. Written in an engaging and conversational style, the reader will be drawn into the mind of one of the most unique and imaginative jazz artists living today. For the past ten years Pilc has taught at New York University. Beginning in September 2015 he will join the faculty of McGill University in Montreal.